ConanJeager wrote: Well what changed her was when she remembered her sister. She always thought that nobody liked her, that she almost never existed for anybody. But when she saw that someone loved her, apreciated her and showed compassion for her. 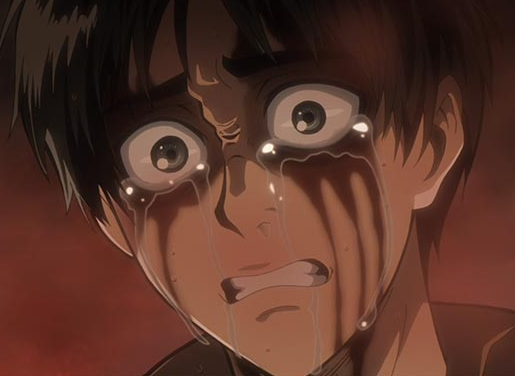 Only to then be devoured by Eren's father probably took an enormous sadness into anger. You also gotta understand that when we saw her she was Krista, the always caring one, while she was hiding herself for so long it probably felt like she found something to look forward to and she found that in her father. I could agree with that after re-reading 60s chapters. Well i certainly hope that she won't try devouring eren afterall. Yeah its a shame she went a bit darkside...I still hope she survive's. And Kenny the ripper and Mikasa being related! What's up with that? I like reading the manga. I especially like looking at the pretty pictures. Anybody saw the latest chap? The humongous titan without a face and exposed internal organs was disgusting yet amazing. So how soon do you guys think they'll actually get to Eren's basement? MyNameIsTrey wrote: So how soon do you guys think they'll actually get to Eren's basement? Probably in like 2 years. Lol I think they forgot about it.